Following a weekend of record breaking attendance in Florida—including more than 50,000 at a sold out Monster Energy Welcome To Rockville in Jacksonville and over 23,000 at Monster Energy Fort Rock in Fort Myers–Danny Wimmer Presents has announced the first annual Houston Open Air music, whiskey, craft beer and Gourmet Man Food festival debuting Saturday, September 24 and Sunday, September 25 at NRG Park, home of the NFL’s Houston Texans and the Houston Livestock Show and Rodeo. 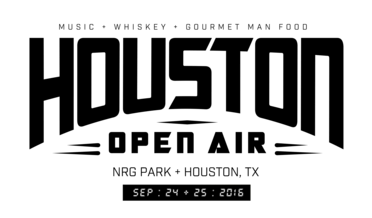 The full list of Houston Open Air music, whiskey, craft beer and artist-inspired beverages, as well as the Gourmet Man Food lineup, will be revealed on Monday, May 16 at Noon CDT with early bird festival ticket discounts available Tuesday, May 17 at Noon CDT via the Houston Open Air website (www.HoustonOpenAir.com). Given the devastation caused by the recent flooding, Houston Open Air festival organizers are in talks with the Houston Mayor’s Office to highlight local disaster relief efforts and fundraising. Details of this program will be announced along with the lineups. In the meantime, we encourage people to donate to http://www.houstonrecovers.org/. NRG Park is located at One NRG Park in Houston, TX. For more information on Houston Open Air, visit www.HoustonOpenAir.com. Hotel discounts are available now via the Curadora link at www.HoustonOpenAir.com.